Artist Kanekotsu [@Kanesys], twitted his project from I believe he said 10 years ago? 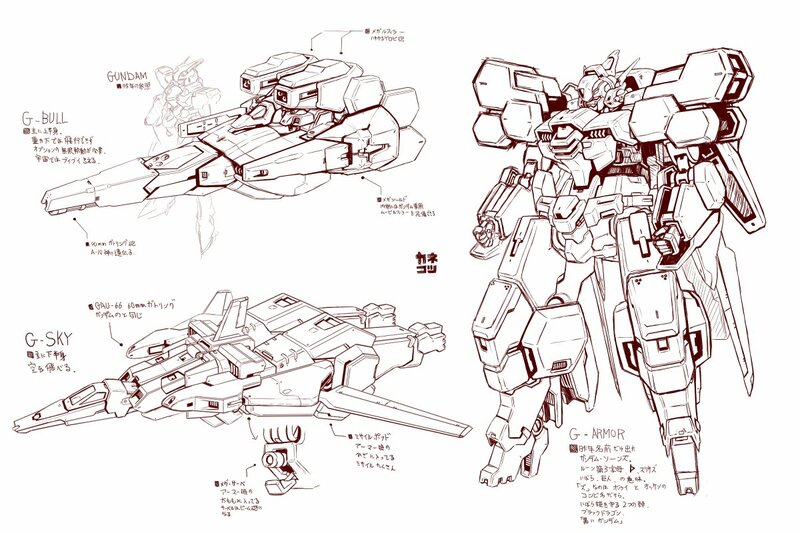 to revived the concept arts of his "Gundam Thorns" series. 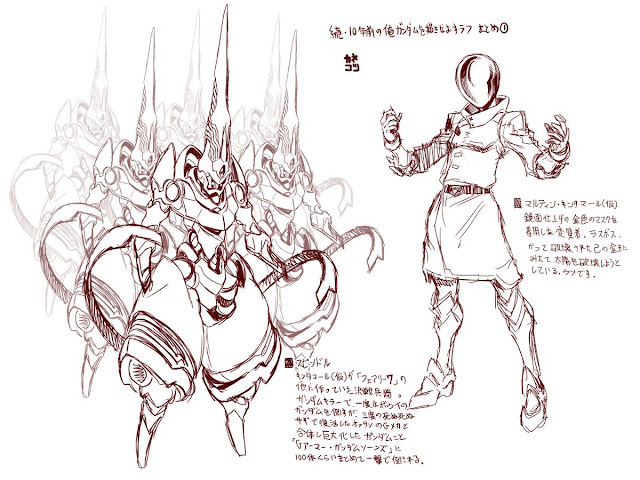 This fanmade concept arts looks promising and could look nice as one solid series. 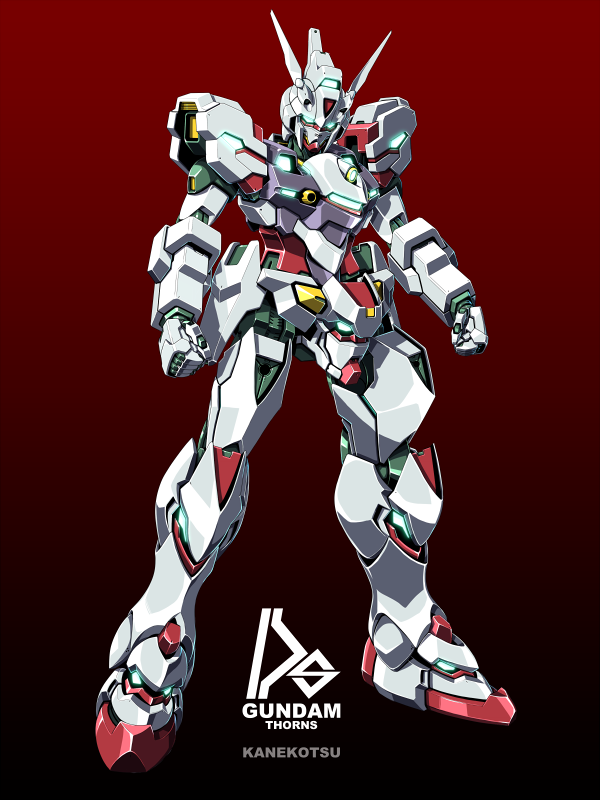 The characters and mech designs are wonderful and it looks like that the main Gundam "Thorns" can transform into something else! 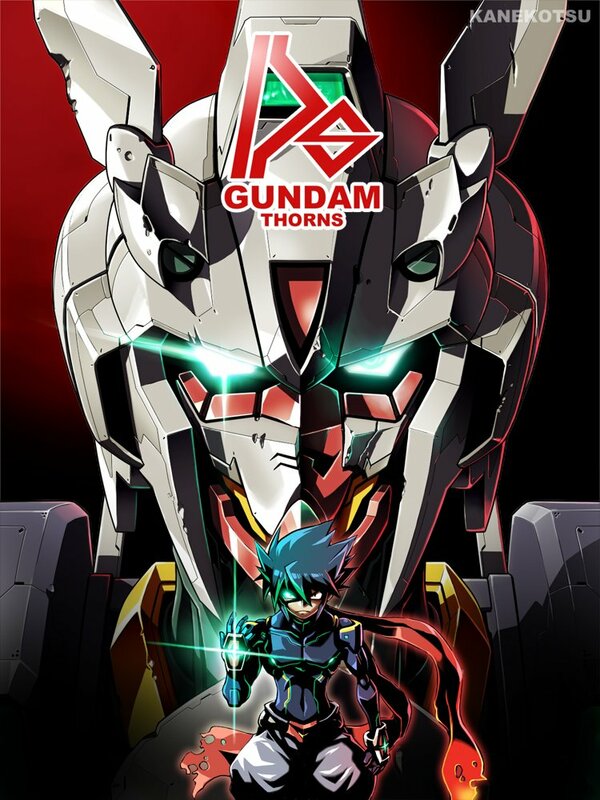 Cover art shows inner framing concept, hints that the Gundam Thorns could be in two different modes just like Unicorn Gundam, but this time, with and without the armors installed. If the crotch head isn’t ditched this looks like a great start for a new series. Nice break from the older gundams but a change from IBO. He has Gundam faces on his pelvis, feet and i think his knees as well.